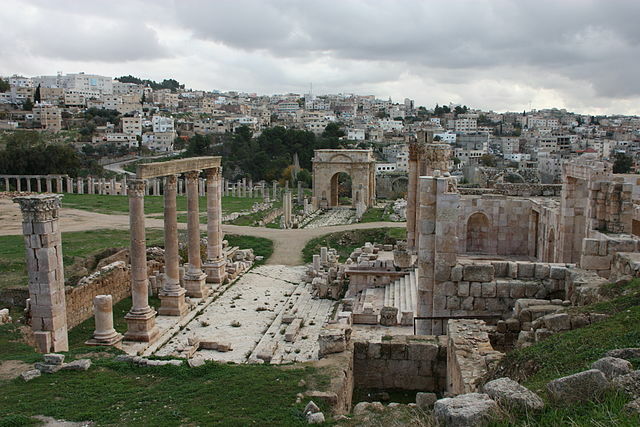 The capital of Jordon – Amman, is a modern city having various ancient ruins. On the top of Jabal al-Qala hill one will find the historic Citadel which comprise of the pillars of the Roman Temple of Hercules together with the 8th century of Umayyad Palace complex which is known for its amazing dome. The Roman Theatre, built into a different downtown hillside, has a capacity of 6,000, 2nd century stone amphitheatre providing occasional events. Amman the most popular city of Jordan is the country’s economic, cultural and political centre and also the administrative centre of the Amman Governorate. Presently, Amman is said to be among the most liberal as well as westernized Arab cities. It is a main tourist destination in the region especially among the Arab and European tourists.The city is built on the rolling hills towards the eastern boundary of the Ajlun Mountain on the small partly perennial Wadi Amman together with its tributaries. The focus of settlement of Amman during history has been the small high triangular plateau towards the north of the Wadi.The royal palaces are placed towards the east, with the Parliament in the western area. The main industries comprise of food and tobacco processing, production of cement, together with the manufacture of textiles, paper products, and aluminium and plastic utensils. It is the main transportation centre of Jordon, with two highways leading west to Jerusalem and one of the city’s main thoroughfares is the road to Al-Salt to the northwest. Four rare Iron-Age anthropomorphic sarcophagi of striking cocoon like design that provides an understanding of the ancient burial practises. Besides this there are others like Jordan Museum of Popular Tradition which displays the traditional costumes of the people of Jordon, inclusive of the attractive embroidery with beautiful antique jewellery accompanied with the domestic utensils. Moreover, it also has a collection of mosaics from Madaba as well as the other Byzantine churches of Jordon. The University of Jordon has many small museums of various subjects, which include archaeology, anthropology, medicine/biology and folklore. Jordon National Gallery of Fine Arts has a collection of paintings, ceramics and sculptures by fashionable Jordanian and Arab artist and work by artist of other Muslim regions. A monumental building at Sports City has a chronological display of military history together with memorabilia from the Great Arab Revolt of 1916 to the present-day.